My son A's eating patterns changes time after time, I normally go with the flow and focusing more on creating a positive dining experience than counting what really goes into his little mouth. Over time he has developed interests with different type of foods and is more willing to try new stuff. 3. Add potato, carrot and onion into the pot, continue cooking at medium for 25 minutes. 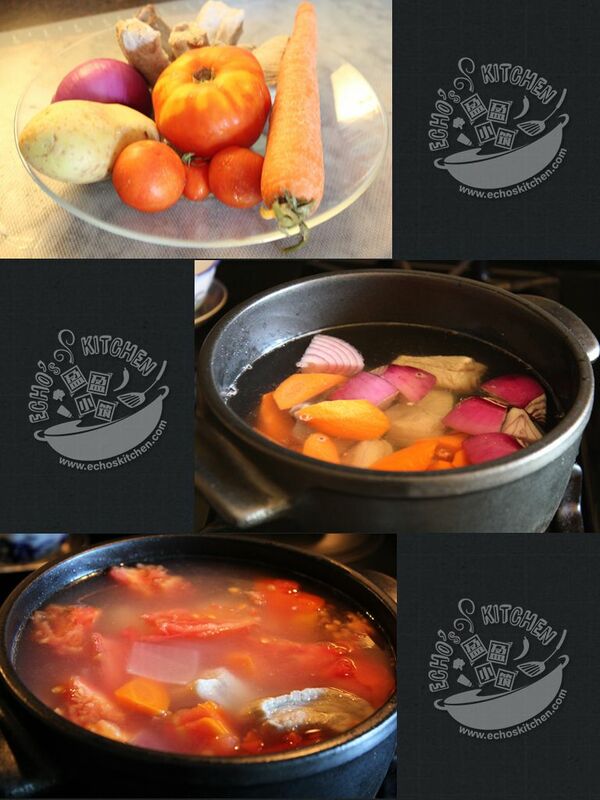 Add tomato and cook for 2-3 minutes, season with salt.